A while ago, as I started actively using Google+, I came upon a list of agencies that I could import to create a circle of digital professionals to follow. I did exactly that, and have since enjoyed a lot of posts shared by digital marketing experts from around the world. Surprisingly enough one post caught my eye. The logo of the person sharing it looked way too familiar. The post came from a Mexican agency called "Black Belt Brands" and it only took me a few seconds to realize why their post had sparked that reaction. 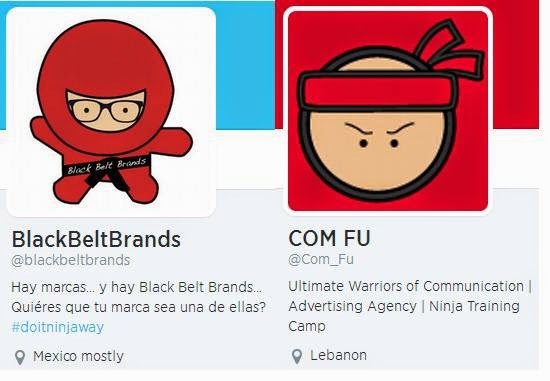 Their identity is highly reminiscent of that of "COM FU" a Lebanese digital agency headed by friend and fellow blogger Ralph Aoun. These two agencies, thought completely unrelated and thousands of miles apart had managed to reach an identical concept without any of them being a copy cat of the other and I find this delightful. 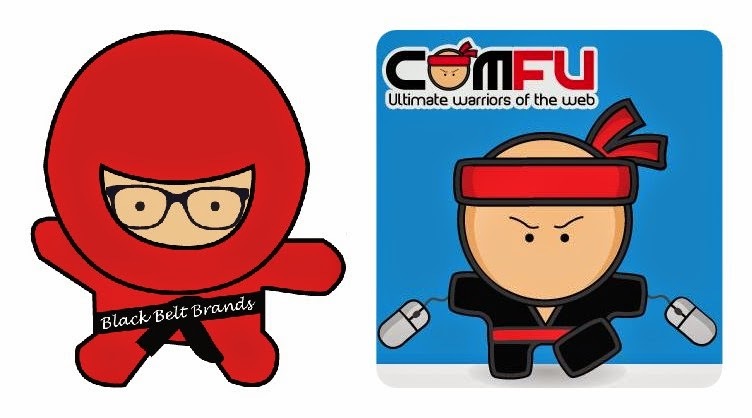 I am rooting for the home team here, but the Mexicans do walk away with the more geekish award in this round although they do loose in mascot doodle vs real design. I would call this one a tie, especially that none of the paid any attention to the overlapping elements on their cover page. 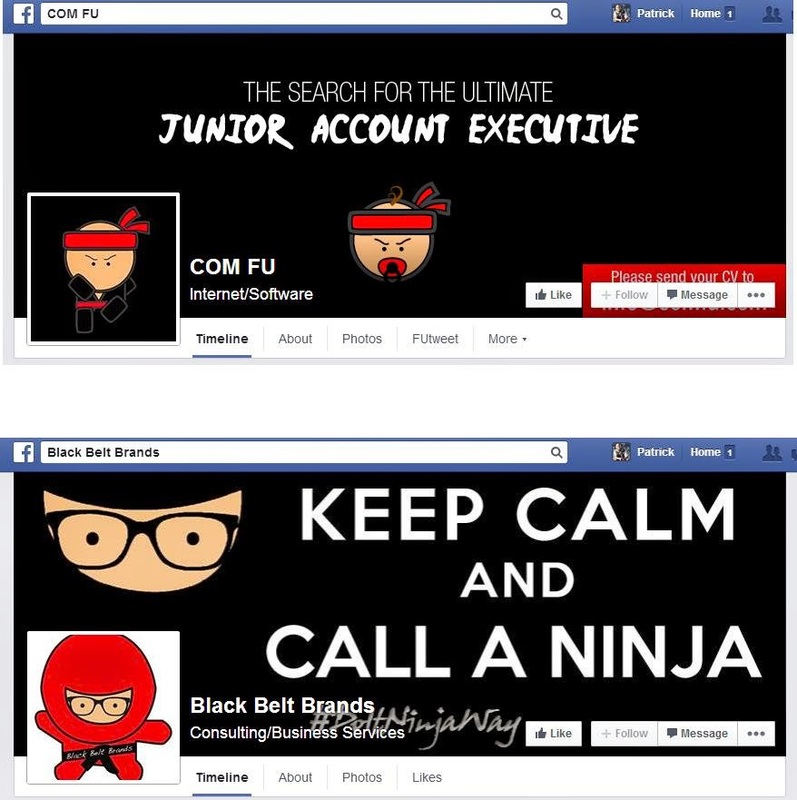 BlackBeltBrands loses points for not having any cover picture but COM FU also loses because their cover picture seems broken and is not loading so it's another tie. I think this give you an idea on this Asian/Latin-American/Middle-Eastern digital martial showdown. I really enjoyed checking both brands back and forth and watching how they both evolved separately but along the same lines. Who knows, maybe one day one or both brands will be big enough to compete on a common turf and then we'll really get to enjoy a Battle of the Digital Kimonos.